If you like this post then you may like to follow us on Twitter, download our Toolbar, subscribe to our RSS Feed or join our Facebook page to keep yourself updated on all the latest news from the world wide web. As we reported, 54 years old Osama Bin Laden has been killed by a US lead Intelligence-driven operation in Abbottabad, Pakistan. The details of the operation remain murky giving birth to speculation in all directions. We will keep you updated as information unfolds. Bin Laden was born in Saudi Arabia in 1957, one of more than 50 children of millionaire construction magnate Mohamed bin Laden. His first marriage was to a Syrian cousin at the age of 17 and he is reported to have at least 23 children from at least five wives. Osama bin Laden was the subject of a $50 million reward through the State Department’s Rewards for Justice program targeting alleged terrorists, plus $2 million through a program developed and funded by the Air Line Pilots Association and the Air Transport Association. Bin Laden was also on the Federal Bureau of Investigation’s lists of Ten Most Wanted Fugitives and Most Wanted Terrorists. Bin Laden and his chain of command, in total, have broadcast-ed more than 60 messages since 9-11 attacks without giving a trace of their location. 899 people were following (the fake Twitter account) @binladen at 1 a.m. Monday but after the news of his death, the number started increasing dramatically. Among the tweets from the fake account early Monday: I’m not dead, just a little busy at the moment. A Pakistani citizen named Sohaib Athar in Abbotabad with twitter name @ReallyVirtual without even knowing what he was doing live-tweeted the American-Pakistani raid which killed Osama bin Laden. 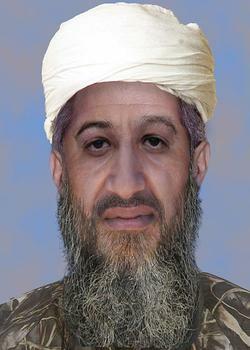 Bin Laden was killed exactly after 3,519 days of Sept. 11, 2001, attacks. Within just a few hours of the announcement of bin Laden’s death, more than 145,000 people joined “Osama bin Laden is dead 5/1/11” – (a Facebook Fan Page). The compound where bin Laden was hiding was a three-story building having two security gates, few windows, a terrace on the third floor, 12-18 feet high external boundary walls with barbed wire at the top and no telephone or internet service. US sustained no causality in the most important military raid of 20th century which killed the most wanted fugitive in the world but same is not true for its ally Pakistan. According to various reports (1, 2), the downed bird is Pakistani and belongs to Pakistan Army or Pakistan Air Force and there are various other unconfirmed reports that mention some Pakistani Military causalities due to direct participation in the raid. Osama Bin Laden shares his death announcement date with Adolf Hitler – (Hitler committed suicide on April 30, 1945 and was announced dead on 1st May 1945). It is important here to mention that Benazir Bhutto, the former Pakistani Prime Minister, in a televised interview with David Frost mentioned “Osama bin Laden was murdered”. What’s surprising is the fact that the presenter did not challenge her on her assertion (2:14) that Bin Laden was murdered. The interview was aired on 2nd November, 2007. The mystery DEEPENED after BBC censored this clip and then reinstated it and started claiming it NEVER got censored. It was believed at that time that Osama was dead(murdered) and West was closely guarding the secret.